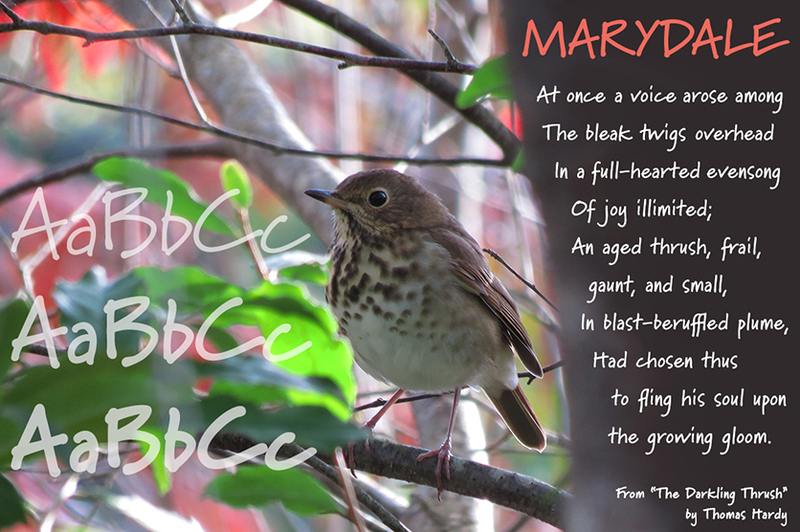 Marydale Inspired is a new take on our popular, casual handwriting font first released in 1993. Like the original, this version has three weightsregular, bold, and blackbut it has less-whimiscal, more-standard glyphs and letterforms. (Note: the OpenType release of our original Marydale family includes a stylistic set that duplicates Marydale Inspiredessentially, giving you both versions with one purchase.) US$79.